If you don’t take long-haul flights often or you are about to embark on your first journey, a long flight can feel overwhelming and intimidating. The thought of a 16+ hour flight sounds long, tedious and might leave you feeling drained, dazed and confused. However, not all long trips have to be so infuriating and stressful. 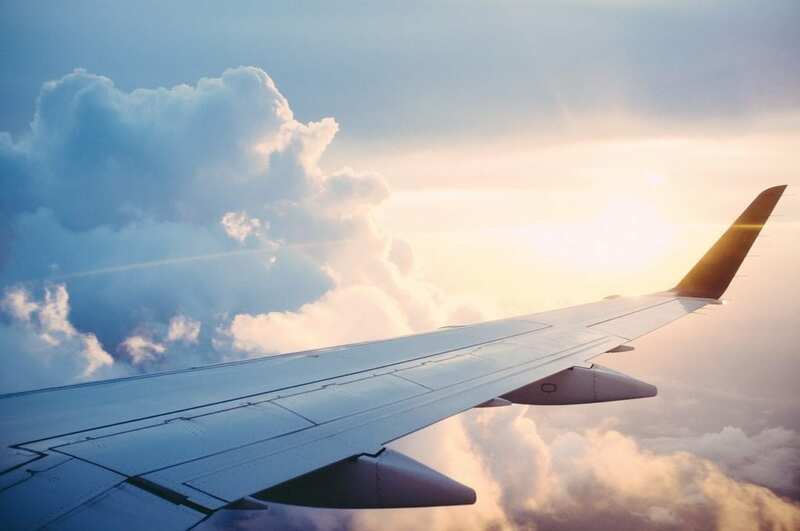 We’ve put together 35 of the best tips for long flights that will not only help you survive this epic journey but enjoy it. It’s a widely known fact that buying your tickets well in advance will be cheaper. However, if you book too early, there’s a possibility that you could miss out on fare price drops. Experts suggest booking your flight 54 days before your departure date because this is when fares will be at the lowest. Flight prices will start to gradually increase until two weeks before the departure date when prices will increase dramatically. The critical thing to remember is not to book too early or leave it until the last minute. If you use flight search engines such as Google Fights and Skyscanner to find flights, you’ll have a better chance of finding the best flight deals. Booking your flight in advance will save you money and reduce travel-related stress. You can relax knowing that your trip is secured. The last thing you want to be doing before a long-haul flight is wait in the airport check-in line. Check-in early to avoid any unnecessary stress. If you are just taking carry-on luggage, checking-in sooner will allow you to skip queues and advance directly to the security checkpoint faster. Going through the check-in process early allows you to have access to the best selection of seats available. Early check-in ahead of departure will let you choose the position that’s right for you. If you decided not to check-in early, you risk being given a random seat assignment, and you won’t be guaranteed to sit next to friends and family. One of the best survival tips for a long flight is to book your trip with the best airline available for your desired journey. Don’t be fooled by the price; cheaper isn’t always the best option when it comes to long-distance travel. For instance, if you are getting more than one flight, check the layover time at the airport. Cheaper tickets tend to have a longer waiting time for connecting flights. If you are traveling with two different airlines, you may have to pick up luggage, recheck bags and clear security again. If you’ve got some air miles saved up, there’s no better time to use them than on a long haul flight. Make your journey a little easier by living it up in first-class where you can sip on some champagne while sitting comfortably in your recliner chair. Just imagine that extra legroom and breathing space for you to relax and enjoy. Go on, use those frequent fighter miles and live your best life for hours of luxury travel! It has to be worth a shot, right? Arrive at the airport early with your sweetest smile and ask for a free upgrade or a better seat. Ask polity and directly: Manners cost nothing. Be direct, tell them exactly what you want and don’t forget to say please and thank you. Ask your travel agent: Travel agents have good relationships with airlines. Get your agent to ask on your behalf to increase your chance of an upgrade. Be on time: Turning up late and asking for an upgrade isn’t going to work. Turn up early. That way, you won’t be competing with others. Dress smart: Dressing to impress isn’t your guaranteed ticket to success, but it will undoubtedly make a better impression than wearing flip-flops and scruffy shorts. You don’t know what’s available until you ask, so give it a try! You are about to embark on a long flight to the destination of your dreams. The ideal situation would be to board the plane and instantly fall asleep for the majority of the journey. The reality, however, isn’t always that easy. A long-haul flight isn’t the most comfortable place to catch up on some sleep. The flight will be long, cramped and exhausting, so one of the best tips for long flights is to get ahead of the game and turn up already relaxed and ready to chill. Before you board, indulge in a delicious meal, go to the gym or even read a book. Do everything you can to relax and de-stress before you board to make the flight a smoother experience. You can plan and download all the entrainment you need for a long-haul flight. However, if your iPad runs out of charge halfway through a Netflix binge session, you won’t be happy. Make sure that all your devices are fully charged before you depart to keep such travesties from occurring. Also, double and triple check that you have all the chargers for your devices with you. You don’t want to leave them behind! Be prepared for your devices running out of juice and pack an extra power pack in your carry-on luggage. A portable power pack will keep smartphones and iPads running for longer, allowing you to crush it on Candy Crush Saga for longer. Extra power means extra hours of in-flight entertainment at your fingertips, so this is one of the top tips for long flights. An extra battery pack is one of the things flight attendants recommend bringing on the plane. Listening to a podcast uses less battery life than watching a movie or playing games. There is a podcast to suit all from health and science to sports and fashion. You could easily spend the entire flight listening to podcasts. Just sit back, stick in your headphones and enjoy the ride. As long as you’ve remembered that extra battery pack to keep your battery juices flowing, you’re good to go. The one travel accessory that you should never travel without is noise-canceling headphones. Just imagine sitting in a seat next to a family with a small baby who won’t stop screaming. You’re on this flight for the next 16 hours. Could you put up with the noise for that long? Fear not, that’s where noise-canceling headphones come in. Drown out the sound of screaming children and noisy passengers with the ambient sounds of peaceful music, your favorite movie or a great podcast. The type of movie you watch depends on your mood, and sometimes you might not be feeling the choice of films the airline has on offer. Bring your own entertainment instead. One of the top tips for long flights is to download a selection of movies before you leave. You’ll be guaranteed to have something you want to watch, and it will help you out if in-flight entertainment is not available. Everyone needs some suitable reading material when you’ve got more than a few hours to kill. Buy yourself some of your favorite magazines and books to read on the journey. You can also get lost in a fantasy world or laugh along with your favorite comic (not too loud, though, as you need to be considerate of the other passengers) by listening to an audiobook. One of the top tips for long flights is to keep your mind occupied. Bring a notebook or a sketchbook. Draw or even start to write that novel you’ve always wanted to start but never had the time for. If you need to, get out your laptop and catch up on some work. 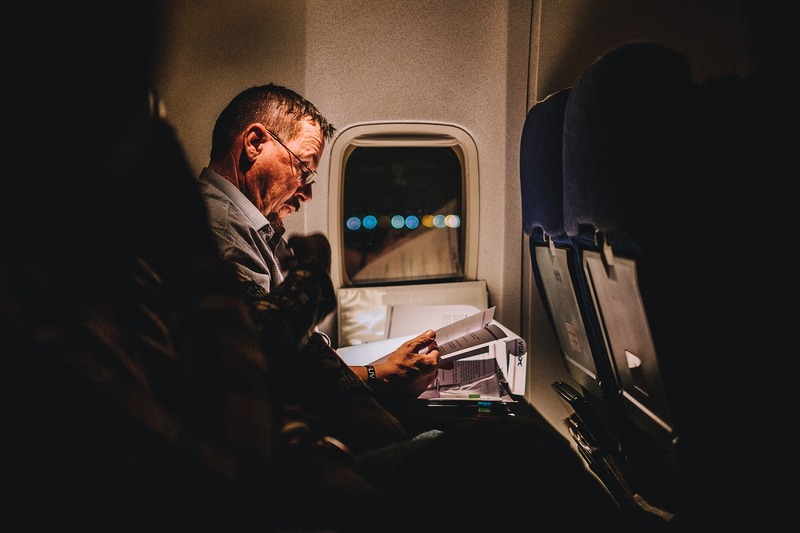 If you’ve got a deadline looming, get ahead of the game and finish it on the flight. Talk to the passengers around you. After all, you are all in the same situation. You are stuck on the same flight together for what might seem like a million hours, so it’s nice to make an effort. Remember to be friendly. You don’t want to go upsetting the passenger sitting beside you just 5 minutes after taking off or the rest of the trip will be super awkward and more uncomfortable than it has to be. It’s also a lovely idea to bring some chocolate for the flight attendants. They are with you the whole ride and are there to take care of your needs. A great flight attendant can make the journey for you. Bringing the flight attendants a box of chocolates will put smiles on their faces. If you are hungry at home or work, it’s easy enough to grab yourself some food, but you can’t get convenient snacks 30,000 feet in the air. One of the best tips for long flights is to bring snacks. In fact, bring all the snacks because they will keep you going throughout the journey. Airline food isn’t known for being plentiful, and sometimes it won’t be enough to reduce hunger at all. You’ll appreciate having some extra snacks packed in your carry-on. In-flight meals will usually be served about 40 minutes into the journey. Having snacks at hand allows you to eat on your schedule. If you are feeling hungry before or after the meal is served, you can grab a bite to eat from your bag. When choosing your in-flight food, opt for meals that contain lean protein such as turkey breast; boneless, skinless chicken; and roasted Edamame. Protein-loaded food will keep you feeling fuller for longer and give you an energy boost. Foods rich in carbs such as bread, pasta and potatoes are said to make it easier for the body to deal with jet lag. Carb-rich foods help your body induce insulin secretion, which can minimize jet lag. Also, don’t overindulge and stuff your face on the flight. It is harder to digest food while in the air. Keep in mind that warmer foods are easier to digest than cold foods. Keep your alcohol consumption to a minimum. If you are likely to fall asleep after a glass or 2 of wine, then go ahead and drift off to a peaceful slumber. However, alcohol does have its drawbacks. The first few hours after having a drink, you are more likely to be kept awake because the alcohol will act as a stimulant. Alcohol is also dehydrating. If you drink too much, you’ll end up spending more time than you’d like in those cramped bathrooms. These days, it’s hard to get away from the everyday stresses of life. A long-haul flight is a perfect opportunity to switch off from it all. On the plane, there are no distractions from work. You don’t have to think about what you are going to cook for dinner tonight or that pile of ironing you’ve been putting off all week. Take this time to switch off and relax. We know these long-haul flights are costly. 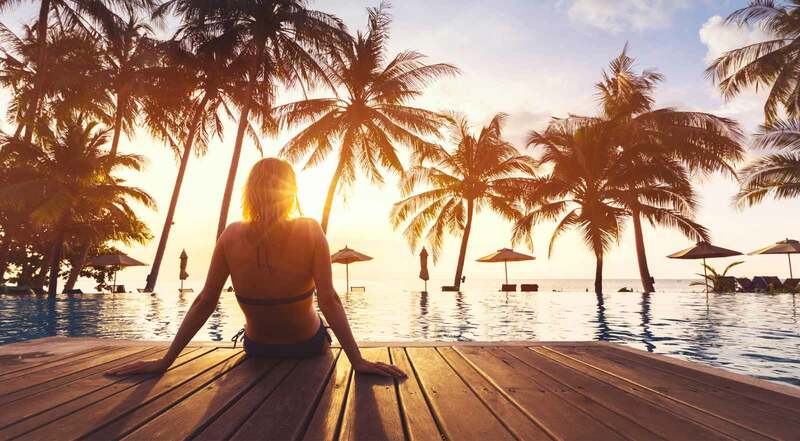 When you’re traveling far away, one of the best tips for long flights is to book travel insurance to keep you covered if there are any unexpected changes that come up! That will help with peace of mind on your flight, so you can relax and enjoy the flight. The key to the perfect outfit for your flight is layers. The temperate can vary, so you need to be prepared for all possibilities. By wearing layers, items of clothing can be removed or replaced to adjust to the temperature. Another outfit tip for a long flight is to wear comfortable clothing. Comfortable, loose-fit clothing can help make your long-distance journey more enjoyable. Opt for a pair of leggings and an oversized sweater or a simple pair of jeans and a T-shirt. If you don’t have the magic ability to fall asleep anywhere, invest in a travel pillow. A travel pillow will allow you to be more comfortable while seated on the plane. Many travelers swear by the neck pillow because these pillows improve your general well-being and help you sleep better while you travel. A good travel pillow can make a significant difference in your journey. They are great for train, car and bus journeys too. Use a travel pillow, and your neck and back will thank you. One of the best tips for long flights is to come prepared with the materials you need. Earplugs should be at the top of your long-haul flight essentials list. 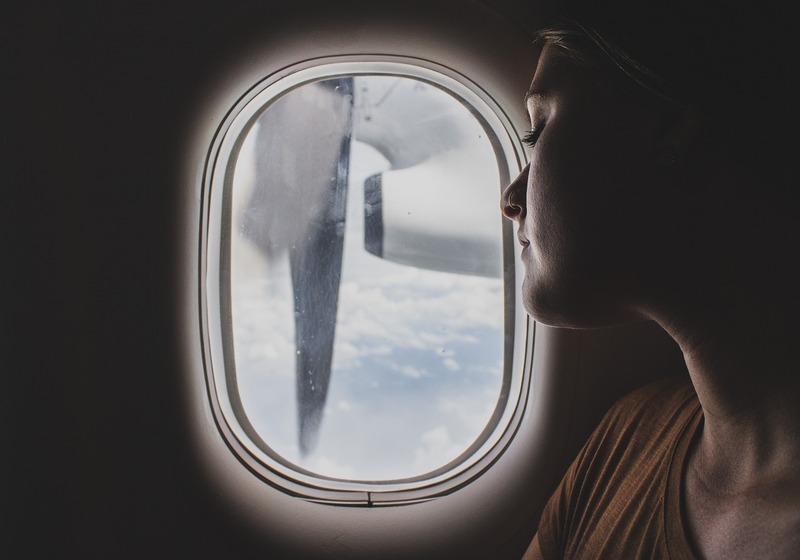 Earplugs are great for blocking out unwanted noise and distractions, but did you know that they can help reduce ear pain when flying? Earaches while flying are caused by the difference in the internal and external pressure in an aircraft. Earplugs will help reduce any discomfort, pain and counter hearing loss. They can also help you avoid having blocked ears and the resulting earache. Don’t worry if you forget to bring your earplugs. Many airlines keep some on board, so ask the flight attendant if they have an extra pair. One of the best tips for long flights is to book your seats in advance to pick the seating assignment that is right for you. and that will give you a better chance of catching some shut-eye and relaxing. The best seat for long flights is usually next to a window. Window seats have a great view, and you’ll have something to lean against when you want to sleep. The window seat is also ideal because you won’t have other passengers wishing you to move so they can go to the toilet or stretch their legs. 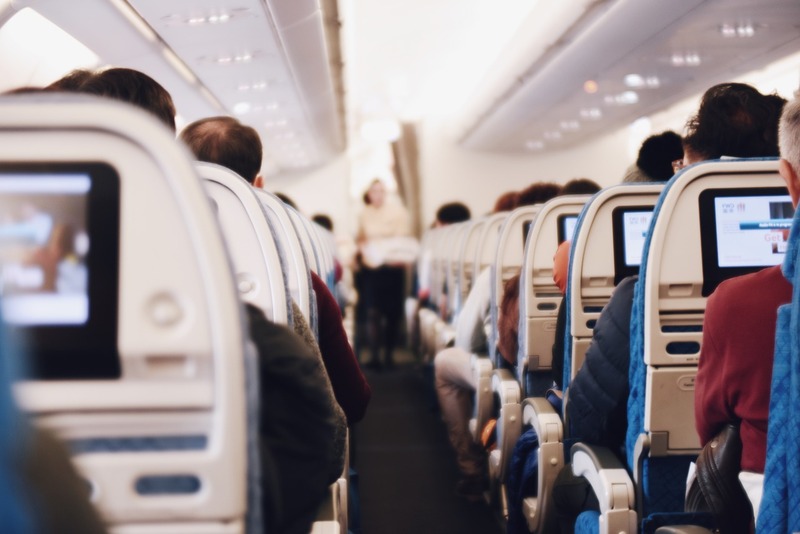 On the other hand, if you are likely to be awake for the majority of the flight, choose an aisle seat so you can get up and stretch your legs more easily. With the rising prices of checked baggage fees, more passengers feel like one of the best tips for long flights is to use only carry-on luggage for travel. However, bringing more things onto the flight could be less beneficial than you think. You are more than likely going to need to bring more on a long distance flight than you are for a shorter one, but don’t overdo it. Anything that doesn’t fit into the overhead locker will end up going under your seat. Therefore the more items you bring, the less leg room you will have. The last thing you need is to sit in a cramped space for hours and not be able to sleep due to lack of legroom. The moral of the story? Bring less, get more legroom and sleep better. Being able to sleep on the plane is crucial if you want to get a head start when you reach your final destination. Consider taking a sleeping pill to aid you with this. Whether you choose the herbal or medicated route, a sleeping pill will assist you in nodding-off. Hopefully, by the time you wake up, you will have arrived at your destination. Also, make sure not to take the sleeping aid before the flight attendant has gone through all the health and safety instructions. If you have trouble sleeping on planes, you’re not alone. Try downloading some meditation sounds before you leave to help you relax and sleep better. Meditation sounds and white noise can block out ambient noise. All you have to do is put on those noise-canceling headphones, close your eyes, take a deep breath and listen. It can be difficult enough to sleep through the day, but trying to sleep in the day on a long-haul flight with many distractions sounds nearly impossible. One of our top tips for long flights is to use a sleep mask to block out light and help you sleep. Most airlines provide eye masks for longer flights, but you may want to bring a mask that has added cushioned support. Some sleep masks feel so comfortable that they are almost like pillows for your eyes. There any many travel blankets available on the market that are designed to fit in your carry-on luggage. A travel blanket needs to be thick enough to keep you cozy and warm even when the planes air conditioning is going full blast. Don’t worry if you forget to pack a travel blanket. Many airport shops will have them on sale, so you’ll be able to purchase one before you take-off. Planes are full of dirt and germs. Minimize your risk of picking up any infections and spreading germs by wiping down the seat belt, armrest and seat tray with an anti-bacterial wipe. Also, bring some toiletries in your carry-on, so you can keep on top of your hygiene for the sake of others as well as your own. A quick trip to the bathroom to brush your teeth, put on some deodorant and even change your clothes will make you feel refreshed. This is one of the tips for long flights that can make all the difference in how you feel. If your feet and ankles swell up like balloons when you travel, bring a pair of travel socks with you for the journey. Compression socks have been specially designed to make travel more comfortable, and they prevent a multitude of symptoms from occurring. The pressure in the cabin caused by flying at a high altitude can affect legs and feet and increase the chance of swelling or even blood clots. Deep vein thrombosis can also be caused by sitting in the same position for a long period of time. Compression socks encourage the blood to flow from the feet to the heart, helping to overcome any uncomfortable side effects of flying. One of the best tips for long flights is to keep moving to avoid getting neck stiffness, leg pain and fatigue. Begin by walking around the cabin and stretching your legs as much as possible to get everything moving again and increase blood flow. Below are a few simple in-seat exercises that can be done while flying. Try to exercise for three or four minutes each time every hour or so. Ankle circles: Lifting your feet off the ground a few inches and rotate your feet in circles. First clockwise, then anti-clockwise. Foot stretch: Keeping heels on the floor and pointing your toes up as far as they will go. Forward bend: With both feet firmly on the floor, slowly bend forward and stretch your hands down the front of your legs. Hold for 10-15 seconds, then slowly ease yourself back up. Shoulder roll: Roll shoulders forward and backward. Toe point: Point toes down while lifting your heel. Each exercise should be repeated ten times. 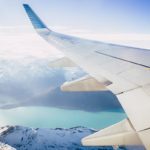 This is one of the best tips for long flights because it can help you enjoy your overall trip more than you would if you’re uncomfortable from sitting in your cramped airplane seat for hours. Long exposure to cabin air and in-flight AC will cause the skin to lack moisture and dry out faster. This dehydration will leave skin feeling raisin-like and drained. This dryness can be kept at bay by packing some beauty essentials in your carry-on luggage. Pack some hand lotion, face cream, a refreshing mist spray and chapstick to apply throughout the flight. Keeping hydrated on a plane is one of the essential tips for long flights. Lack of humidity in the cabin causes the body to get dehydrated. As a result, drink throughout the flight and drink more than you usually do to combat the dehydration. Water is free on most flights, so ask the flight attendant for a glass of water to keep your moisture levels topped up. If you bring a water bottle with you when you travel, that’s even better. Dehydration can cause other problems such as making you feel tired, cranky and lethargic — which is the last thing you need when already confined to close quarters for long periods of time. This is one of the tips for long flights that can help you get better sleep if you manage to drift off. When you go to sleep, fasten your seatbelt first as this will assure that you won’t be disturbed. If the flight attendant can see your seatbelt visibly over your clothing when doing safety checks, they won’t need to wake you to check. A long-distance flight can give a dishonest traveler an opportunity to take things that don’t belong to them. There is plenty of time during the trip to scope out possible easy targets and find out the location of valuables such as wallets, passports and smartphones. Secure your valuables in a safe place in your luggage that is out the way but still easily accessible if you need them. Money belts are a great place to keep your cash, credit cards, passports and smartphones as they can be worn underneath your clothing. Your body is programmed with a built-in routine over 24 hours. These routines are known as circadian rhythms and include everyday tasks such as eating and sleeping. When you fly, you go through different time zones, which causes havoc with the body and its rhythm. Moving into a different time zone can lead to symptoms such as extreme fatigue, loss of appetite, bowel problems and concentration issues. One of the best tips for long flights is to prepare for the jet lag in advance. Avoid arriving at night: Try to arrive at your destination during the day if at all possible. That way, you’ll be more likely to stay awake because you’ll want to explore your new surrounding. Avoid caffeine: Drinks such as coffee, soft drinks and energy drinks that are heavy in caffeine are artificial stimulants that will keep you awake and increase your jet lag recovery time. Get some sleep: Try to sleep as much as you usually would over 24 hours. You don’t want to oversleep so set a travel alarm clock to wake you up. Set your watch: Set your watch for the local time of your destination. This will help you get psychotically prepared for the time difference. Split up your trip: If you’ve got a 24-hour trip ahead of you, try splitting up the trips with a stopover to allow your body to adjust to the new routine. Are you traveling on a long-haul flight soon? If so we hope these tips for long flights help make your journey that little bit easier. 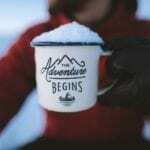 Are you thinking about booking your first solo trip? 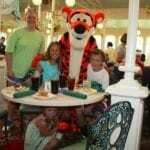 Then click the next article to read our tips on how to plan and book your first trip.